A new study has found that the use of relaxation techniques, including meditation and yoga, can reduce the need for healthcare services by almost half. Relaxation response techniques have been around since ancient times. Meditation, yoga, and prayer, for example, have been practiced for more than 4,000 years. Studies have since shown that these relaxation techniques have numerous health benefits, including reducing stress and anxiety. Now a new study from Massachusetts General Hospital has found that using these relaxation response techniques reduces how often people use healthcare services by 43%. As well, participants saved thousands of dollars in healthcare costs they would otherwise have to pay. Previous studies have shown that relaxation response techniques can promote better health and cause positive changes in the body. Meditation has been shown to thicken parts of the brain associated with memory and learning and shrink parts of the brain that play a role in stress and anxiety. 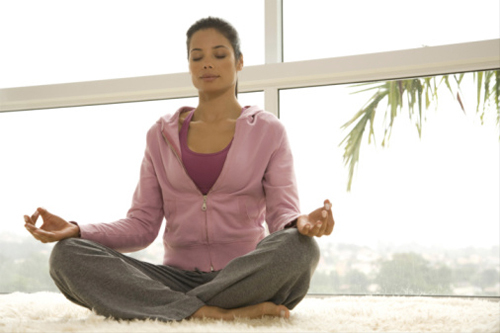 Yoga and prayer were found to have similar positive benefits, which can help lower high blood pressure and heart rate. Stress and anxiety have been linked to numerous negative health effects, including heart disease, high blood pressure, illness, and diabetes. According to the authors of the new study, stress-related disorders are the third-highest cause of healthcare costs in the U.S. and can make up 70% of doctors’ cases. The study looked at participants in a relaxation response program at Massachusetts General Hospital. Researchers collected four years’ worth of healthcare data from 4,400 people who participated in the eight-week program, which teaches people how to use relaxation techniques to improve their health. After completing the program, participants were found to use 43% less healthcare services than they did in the previous year. As well, when compared to a control group that did not complete the program, participants were found to use healthcare services 25% less frequently. With less people using healthcare services, wait times and patient overload could be reduced: “These programs promote wellness and, in our environment of constrained health care resources, could potentially ease the burden on our health delivery systems at minimal cost and at no real risk,” said Stahl. These health benefits could also have a big impact on patients’ wallets. Researchers estimate that each patient’s reduced healthcare visits could result in between $640.00 and $25,500 in savings each year. McGreevey, S., “Relaxation response proves positive,” Harvard Gazette web site, October 13, 2015; http://news.harvard.edu/gazette/story/2015/10/relaxation-response-proves-positive/.